Enjoy Creative New-South Cuisine in a Pub and Music Hall environment with 36 drafts on tap, a top shelf whiskey wall and craft cocktails. We have a 15-foot video wall for the BIG game and Live Music every night. 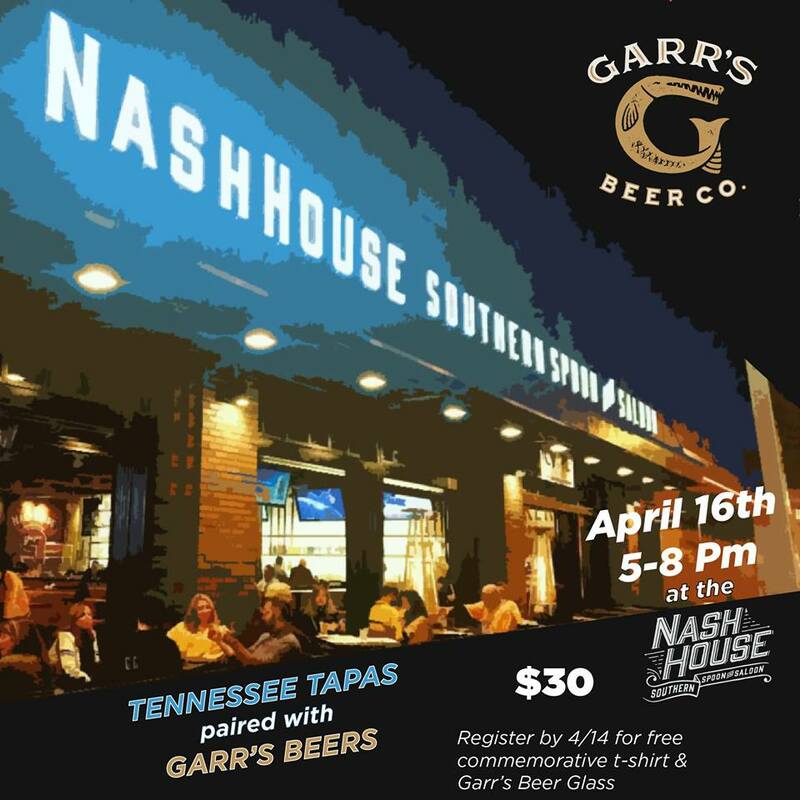 Just steps from Music City Center and a short walk to Bridgestone Arena, NashHouse is a great addition to your downtown outing. Open daily for Breakfast, Brunch, Dinner and Late Night. 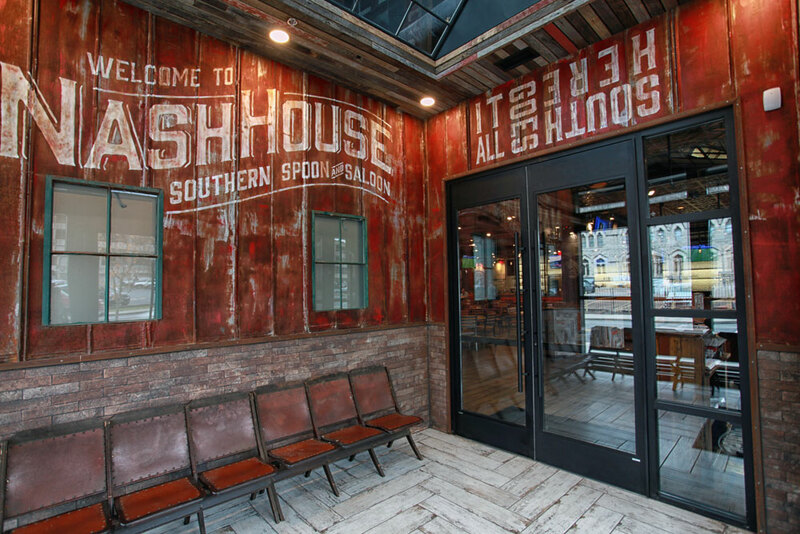 From the moment you walk into NashHouse Southern Spoon and Saloon, you’ll feel the comfortable atmosphere we’ve created to provide you with a casual, entertaining dining experience. Reclaimed windows and wood, hand-painted murals, and steam punk lighting all contribute to our “countrypolitan” environment, and it’s all here to make you feel at home. Stop by today for our new south cuisine, to grab a bite and a beverage after the concert or game, or simply to unwind with one of our signature cocktails after a long day at the office. Feel free to challenge your friends to a game on our vintage Elvis Presley pinball machine. We’ve gone to great lengths and spared no expense when it comes to entertainment at NashHouse. Our state-of-the-art audio system is designed to provide maximum enjoyment of our nightly live music. Our seventeen-foot, high definition video wall makes us the premiere destination for you and your friends to catch all the Predators and Titans games! We’re conveniently located within walking distance from our neighbors at the Music City Center, Bridgestone Arena, and the JW Marriott and Cambria hotels. Avoid the stress of Nashville parking when you enjoy our complimentary two-hour valet parking, too! Amazing vibe, food, and service! Newer establishment (opened Thanksgiving week 2018), but don’t let that fool you. Tasty grits, chicken friend chicken, and steaks. Only area of improvement is to tone down the salt. Overall: beautiful decor, music, and friendliness!! So good! Great service and great food! Really pretty restaurant with parking right get across the street. Great location – close to Nissan Stadium and away from crowds at Music Row. We will be back!